Do you fancy a free burger meal for two at Lyons’ Den? Enter our all new Build-A-Burger Competition for your chance to win! It goes without saying we love burgers. Burgers are our thing. One thing you may not know is that alongside our usual menu we also offer specials. 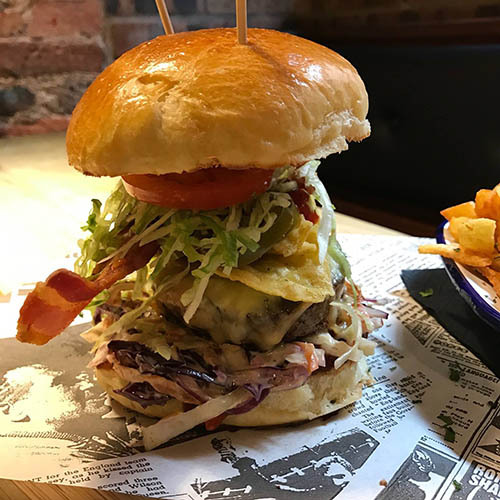 Our specials board varies throughout the year and gives us the chance to experiment with new burger ideas, seasonal ingredients, new flavours and to trial potential new menu items. 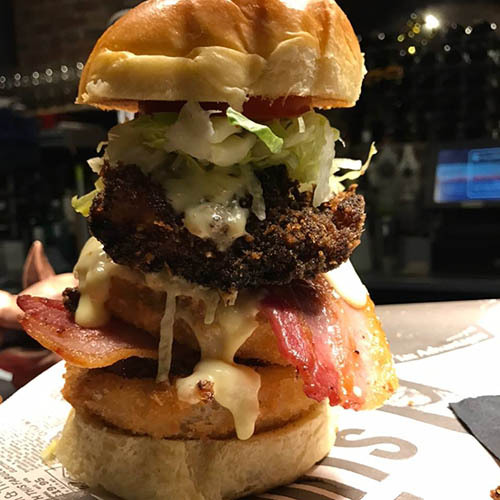 In recent times our specials menu has included The Gigantor – 2 x 6oz beef patties, 2 x onion rings, 2 x bourbon chicken strips, 2 x streaky bacon rashers, Cheddar, Red Leicester, lettuce, tomato and Cheddar cheese sauce and the Rings of Fire – 2 x 6oz beef patties, Monterey Jack cheese and 3 x onions rings filled with our hot chilli con carne. Many of our most popular specials from 2016 have made it in to our permanent menu including the Baconator, the Smokin’ South and the Befrazzled. We’re looking for an all new burger for our specials board. A burger from the depths of your imagination. Tell us your dream burger and we’ll put all the entries to our team to judge the winner. 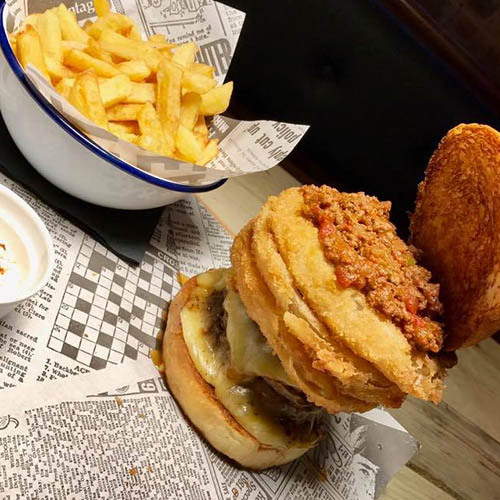 The winning ‘Build-A-Burger’ entrant will receive a free meal for two at Lyons’ Den and the opportunity to try their creation. For that week we’ll also add that burger to our specials board. And who knows… If it proves popular, it could make its way to our permanent menu! You can use any influence, flavour combination or fusion. The more inventive, the better. Wow us with your idea and go down in Den history as the winner of our first ever Lyons’ Den Build-A-Burger Competition! Competition closes at midnight on Friday 14 April and the winner will be announced in due course. The choice of winner is at the discretion of the Lyons’ Den team and management.